Not a day goes by when I sit with my cup of afternoon tea and a computer and words flow seamlessly from my mind into the white blank screen. While the new world likes to wax eloquent about the health benefits of tea; I take a deep breath, a sip of my brewed concoction and in the process, steal a moment from an otherwise absolutely busy life. For me brewing and then having tea is not about getting healthy, its about living life in the moment. Its about living life in the deepest recesses of your mind and with yourself. Its about taking a break from life that has no “stops”. The process of preparing the humble brew is as important as sipping it in, albeit slowly. The beverage needs to be prepared immaculately to have the perfect nirvana moment. As you let the water boil, brew your cuppa with multiple spices. Add ginger and black pepper if you want the kick in the throat moment. Have it with cinnamon if you want a milder, sweeter moment and with crushed cardamom if you want a spicy “your’s” moment. You can choose and pick your spices and let them dance their flavor into the water. Smell the aroma as you pop your face into the steam. Add some tea levels and let it brew till you get the perfect blackish hue. Whats amazing is that “perfect” is defined by you and only you. Let it boil and boil and boil. In the country I come from, tea is equivalent to “me time”. When you have nothing better to do, let yourself revel in the moment with just one company – your humble brew. As the water boils, I spend some time watching it rise and fall, much like life. The chaotic cosmic dance of the tea leaves in the saucepan, much like the universe itself. And as you delve into the moment, pour your tea into your favorite cup. 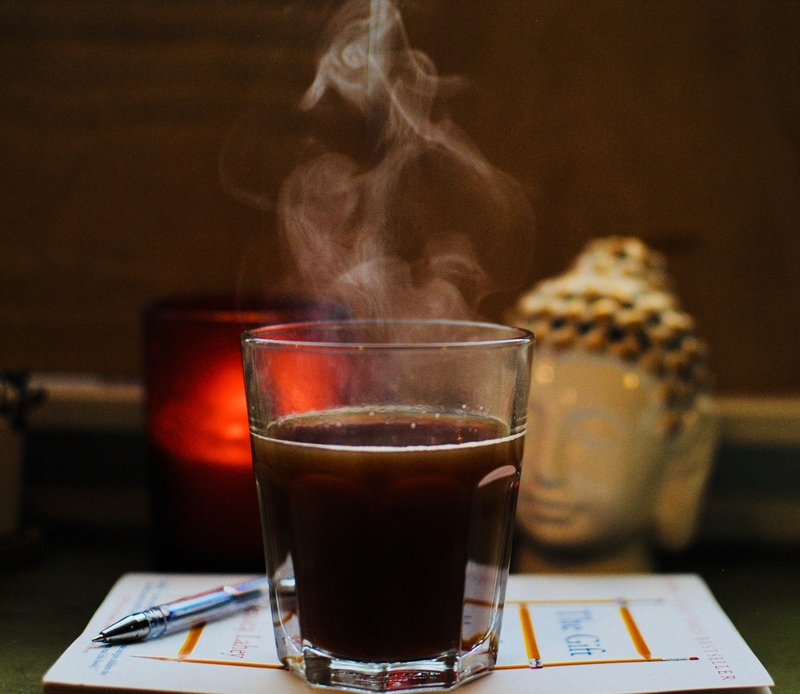 Watch the steam leave the cup and in that moment, try and let go of all that holds you back. Read a book or listen to music or stare at a blank screen or much better, share that moment with a friend.